Blairite-Labour Champagne-Socialist smoothie Chuka Umunna appears to have a bit of an obsession. 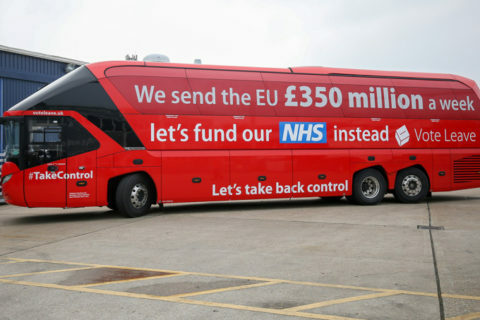 He seems to have convinced himself that the Vote Leave campaign’s battle-bus during the 2016 EU Referendum, with its “Take Back Control” message, was a binding promise to spend an additional £350 million on the NHS in the event of a Leave vote, and he can’t let it go. It’s a meme he returns to time and time again on his own Twitter feed, like a dog worrying a bone long since chewed beyond nutrition. A quick look through his recent timeline shows tweets about it on 19th September (twice), 20th September (twice)…. …then again on 21st September, 24th September, and 8th October…..
…or in the intervening periods, and just for a change, via re-tweets on 3rd October and 9th October off Vote Leave Watch, which is very much a Chuka creation. There’s a plausible possible explanation for this. In the era of Hard-Left Corbynite-Labour, Chuka has an acute irrelevance problem. Once touted – not least by himself – as the Blairite Leader-in-Waiting, despite a mysterious and flattering “UK’s Barack Obama” update to his Wikipedia page from a computer in his own law firm’s office, an, ahem, unfortunate slip-up about EU geography, a £20,000 donation from a gambling tycoon despite campaigning against betting shops in his own constituency, and superciliously describing London as “full of trash” and lacking suitably-exclusive hangouts for cool dudes like himself, until Labour’s 2015 General Election defeat, Chuka was considered a serious future contender for the leadership. The advent of Corbyn changed all that. Remember, Chuka stood for the leadership, and was even at one time the bookies’ favourite: but then suddenly withdrew from the contest just 3 days later, in circumstances which have never been satisfactorily fully explained, citing “the level of pressure and scrutiny that comes with being a candidate”. On Corbyn’s election, he was one of those who declined to serve in Corbyn’s Shadow Cabinet, and was replaced as Shadow Business Secretary on Corbyn’s first appointments. Since then, the growth of a new aggressively left-wing membership, plus the consolidation of hard-Left Momentum’s control of the Party, have left him, politically, in the wilderness. His brand of metropolitan-centrist left-liberal Blairism is totally out of tune, and out of favour, in a party turning to full-blown socialism. 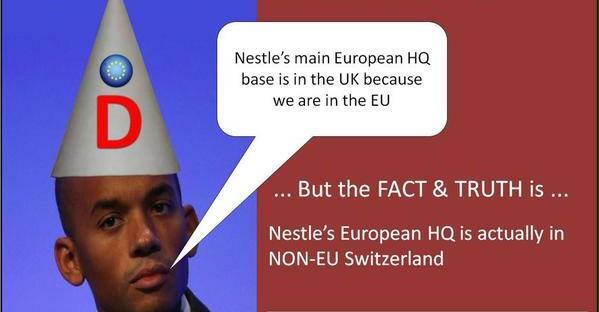 Chuka Umunna is the Paddington Bear of UK politics. As the hard-Left Labour train departs the station on its Journey Of Destiny to True-Socialist Utopia, he’s been left behind on the station platform, clutching his suitcase (probably a Gucci one – champagne-socialists like Chuka don’t settle for anything less) with a label stuck on it. 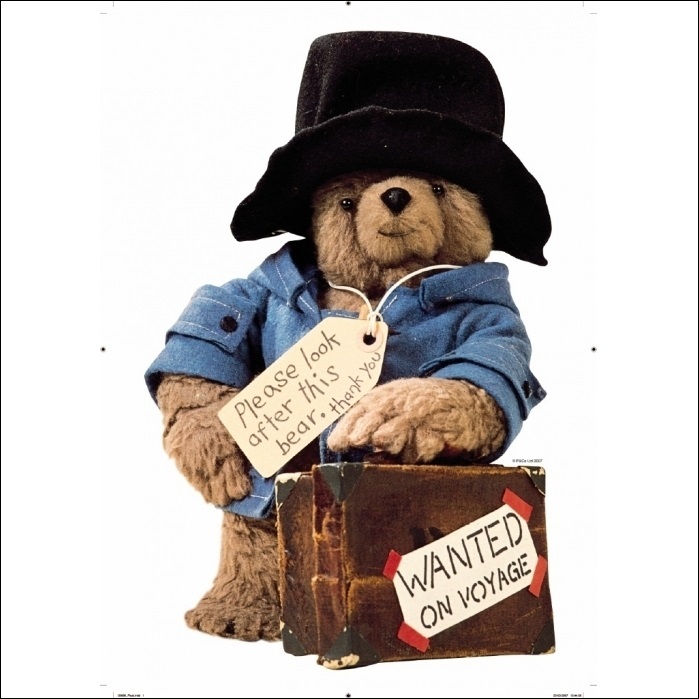 Only in his case, and unlike Paddington’s, this label says “NOT WANTED ON VOYAGE”.